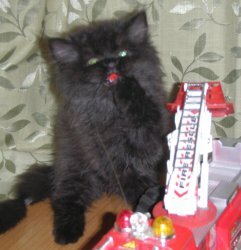 Black Grey Smoky Flat faced Persian female kitten for Sale. Kitten is imported. Very playful, loving and potty trained. Too bad my doggy does not like her.